Argon Plasma (Ar Plasma) | Plasma Etch, Inc.
Ar plasma is one of the most common types of plasma used for cleaning due to its low cost, ability to prevent oxidation, and wide availability. Argon can be easily sourced from a local gas supplier. 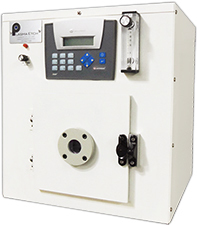 All systems available from Plasma Etch will work with argon gas as well as most gases and gas combinations. Argon is commonly used with oxygen to clean metal or non-metal materials. Argon is also useful in removing organics without modifying the surface being treated. When run by itself, it can also be used to remove some non-organics. Ar plasma will clean the surface of a plastic sample, however it will not etch (remove the surface material). Plasma removes all traces of organic matter and leaves no residues unless there were inorganic contaminants on the sample. All removed contaminants are pumped out of the chamber by the vacuum system. Argon plasma will not oxidize a surface and is therefore used in many metal cleaning applications, including wire bonding. Argon is the most frequently used gas for wirebonding applications. Argon is often mixed with oxygen when cleaning metal substrates. This mixture is widely used for surface activation prior to bonding. Argon atoms will prevent oxygen atoms from oxidizing the surface of most metals. Oxygen is highly reactive and is an ideal gas for surface activation but also prone to oxidize metals. Argon prevents the oxidation of the surface as the plasma breaks the oxygen bond with the metal surface and carries it out of the chamber. Argon is also used after CF4 (or a CF4/O2 mixture) is used to etch a product (remove material). The argon cleans any residual organic matter and clears the machine of the harsher gases before technicians open the door to handle the products being treated. Learn about plasma - how it's used, and who uses it. Cleaning removes all organic contamination. Learn which gases are used for the cleaning process. All of our systems are built around the long lasting effects of vacuum plasma. Create the strongest bond possible between two dissimilar materials. Activate a surface with plasma for better printing or bonding. Functionalization improves adhesive properties such as bondability and paintability. Etch away material for integrated circuits, rubbers, dielectrics, plastics, and more. Modify surfaces with the most reliable and environmentally friendly technology available. Clean (degunk) wirebond holes after drilling through a PCB board. Plasma etching is performed on printed circuit boards. An aggressive, directional etch useful for manufacturing micro semiconductors. Learn how to prevent silicon products from sticking together with surface modification. Learn how printing and bonding can be improved on nearly any material. Oxygen plasma is the most common gas used for cleaning and plasma surface modification. Learn about the equipment needed to perform plasma cleaning and etching. Argon plasma is commonly used to prevent oxidation of metal. 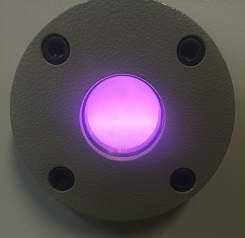 See real world examples of plasma applications using Plasma Etch equipment. The PE-25 is an affordable yet fully automated entry level option for argon plasma cleaning. 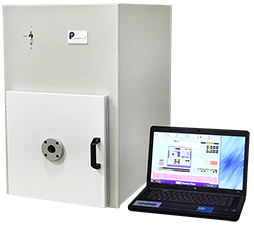 The PE-100 is a complete plasma treatment solution capable of plasma cleaning. Plasma Etch, Inc. has been a leader, innovator, and producer of plasma technology since 1980. We've developed a wide range of solutions for plasma cleaning, plasma etching, reactive ion etching (RIE), plasma treatment, surface modification, and other facets of plasma processing. Our company, headquartered in Carson City, NV in a custom-built factory, is focused on designing and producing cutting edge technology and plasma equipment for every industry and application. From scientific research to manufacturing and everything in between, we have an ideal solution.